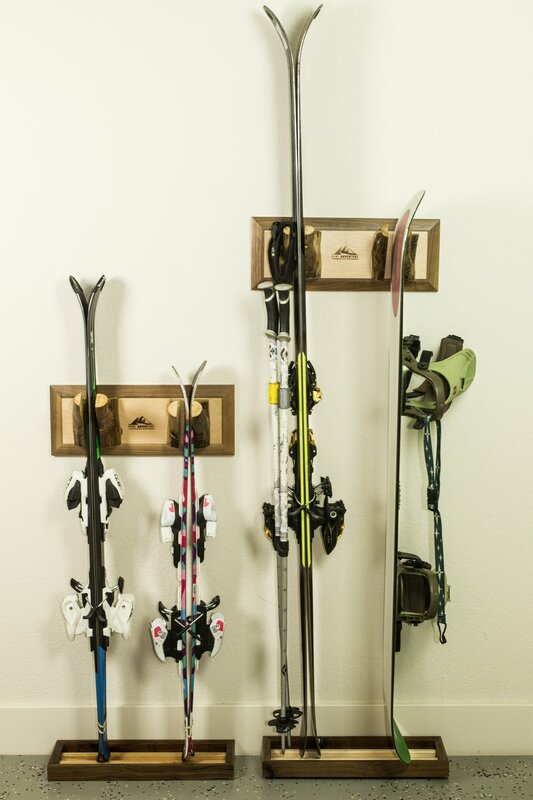 Rare earth magnets attract the metal ski edges and hold them securely against the rack until you want them. 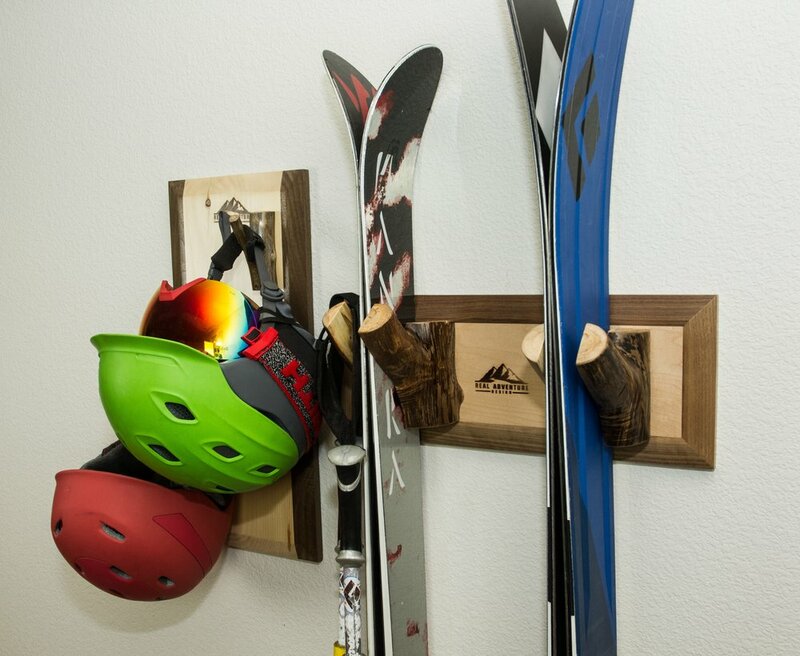 Because our ski racks grab the edges of your skis, you don't risk damaging your ski's performance by bending the ski tips. 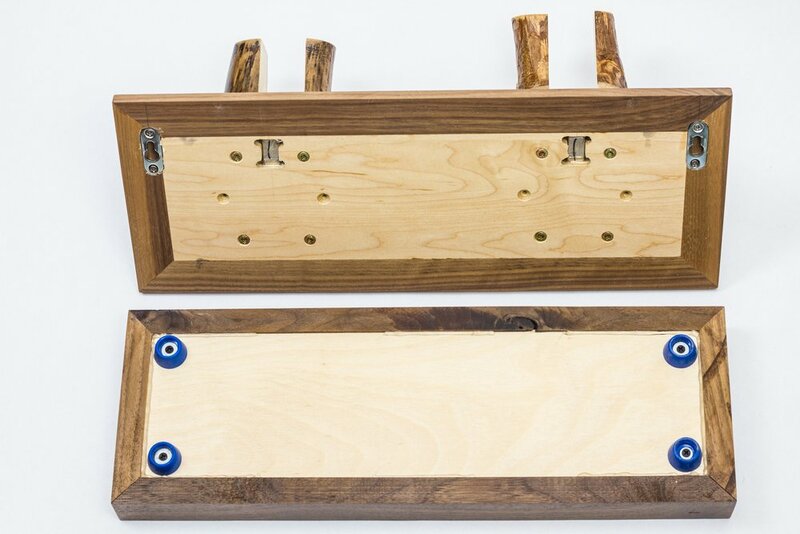 Natural aspen dividers are great for hanging your poles. 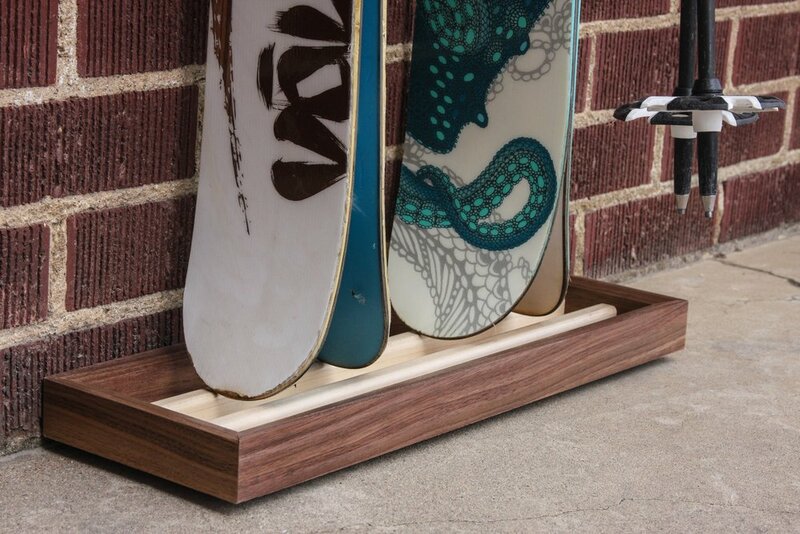 The base collects all your ski drippings and has soft rubber feet for stability.